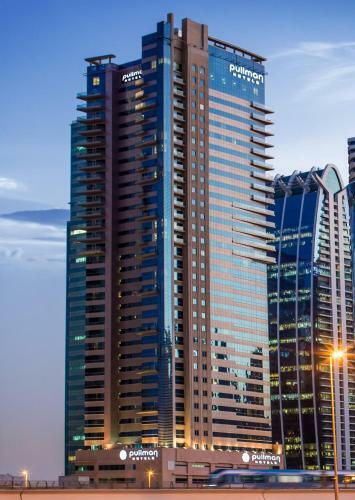 Located in Jumeirah Lakes Towers, Pullman Dubai Jumeirah Lakes Towers is close to Jebel Ali Port and Media City. 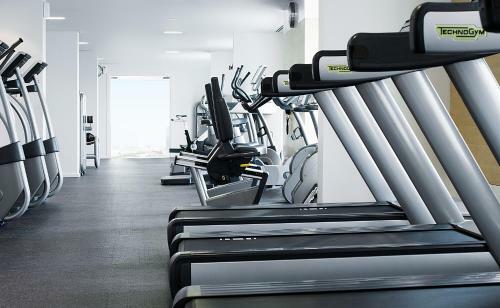 It offers free WiFi in all areas, an outdoor pool and a gym. 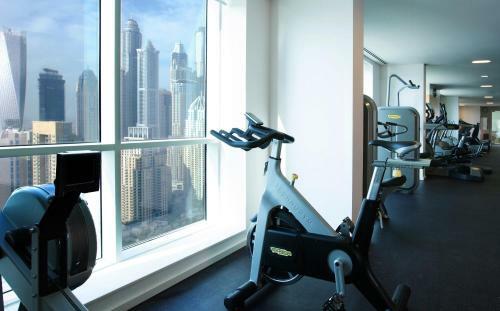 All rooms offer views of the city and Dubai Marina. Each one includes a flat-screen TV, a minibar and a coffee machine. The suite includes a spacious living room. 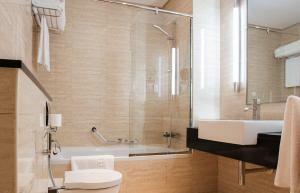 The bathroom is fitted with a bath and a shower. Guests can indulge at the all-day dining restaurant or savor Italian delicacies at the Italian speciality restaurant. Cocktails are available at the bar. 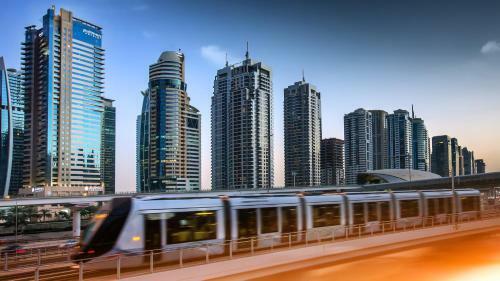 Dubai International Airport is 30 minutes by car from Pullman Dubai Jumeirah Lakes Towers. An airport shuttle is available upon request. 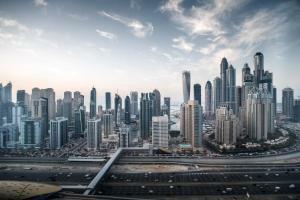 Dubai Marina is 600 metres away. 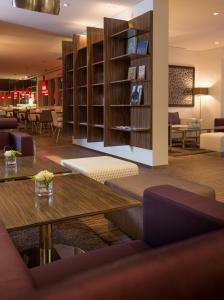 Upon arrival all guests (Including Children) must present a valid original passport or Emirates I.D. card to be registered. The Hotel accepts all major credit cards. Any credit card used for either pre-payment or charges on-site must be in the name of the guest and the same card must be presented for verification upon check-in. Under no circumstances will the hotel honour any past (prepayments, deposits etc.) or future payments without the presentation of the credit card and the cardholder's authorization. 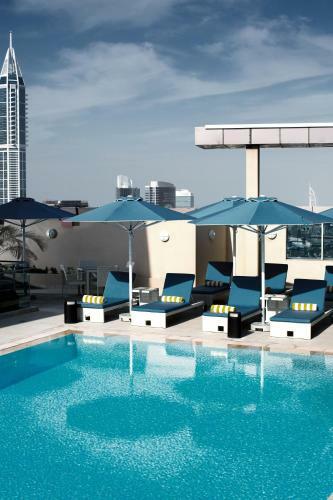 The hotel reserves the right to reject the booking due to non-compliance of these requirements. 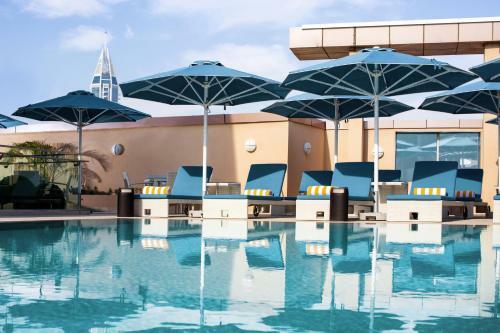 The hotel requires a guarantee for any charges that you may incur during your stay, including the mandatory AED 20 per bedroom per day Tourism Dirham Fee. A valid credit card in your name may be presented and we will pre-authorize an amount to cover your charges. Should your billing surpass this amount during your stay we will require an additional authorized amount. Only upon check out will we actually debit and charge your credit card for the actual amount of your bill. 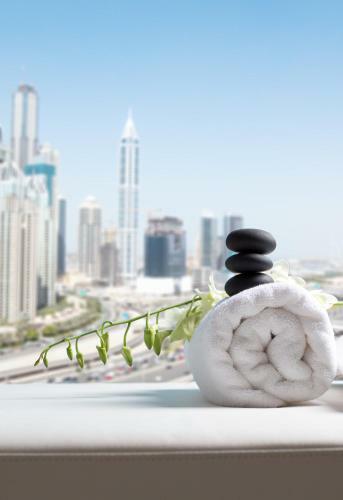 After departure, any unused pre-authorized amount will be released by the hotel. All room rates are subject to 10% Service Charge, 10% Dubai Municipality Fee and, for stays from 1 January 2018, 5% Value Added Tax. Proposed VAT rate and implementation is pending legislation in Dubai. Featuring a balcony, this extra spacious, air-conditioned suite offers a living room with a flat-screen TV and a kitchen complete with a dining table. It has 2 bathrooms, each includes a bath and a shower. Tastefully designed, the Executive Deluxe room features a work desk, a 48-inch LED HD TV with international channels, and upgraded amenities include a Bose docking station, a Nespresso machine with complimentary capsules that are refilled on daily basis, and a modern bathroom with a separate walk-in shower and tub. 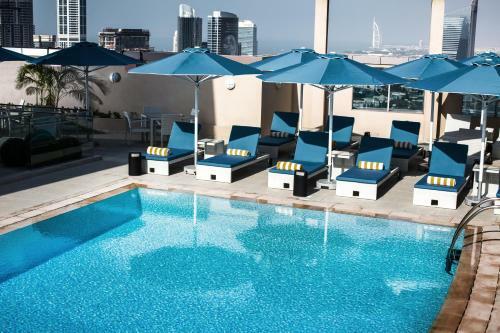 A comfortable seating area offers views of the Lakes, the Emirates golf course and the Dubai Marina. 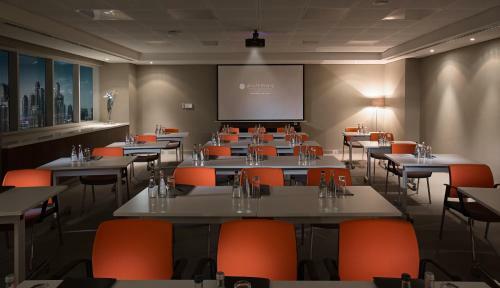 Located on the 16th floor, the Executive lounge is an exclusive space of comfort offering guests the convenience of special facilities. 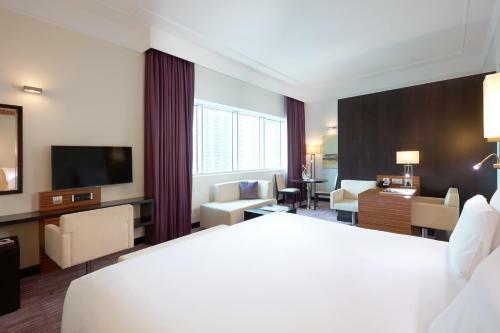 Tastefully designed, the Deluxe room features a work desk, a 48-inch LED HD TV with international channels, a modern bathroom with a separate walk-in shower and tub. 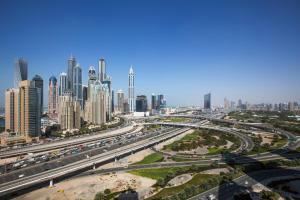 The A comfortable seating area offers views of Jumeirah Lakes Towers or Dubai Marina. Upgraded amenities include a Nespresso machine with complimentary capsules that are refilled on daily basis. 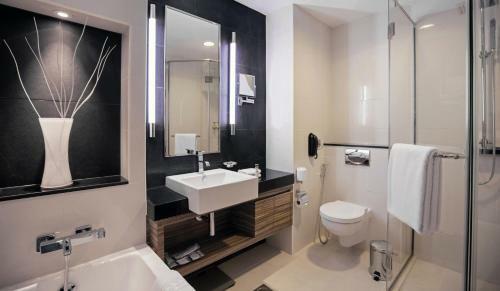 This air-conditioned room features a work desk, a 40-inch LED HD TV with international channels and a modern bathroom with a separate walk-in shower and tub. 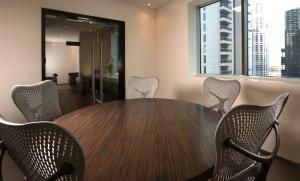 A comfortable seating area offers views of Jumeirah Lakes Towers or Dubai Marina. This air-conditioned room features a work desk, a 40-inch LED HD TV with international channels, a Bose docking station, a Nespresso machine with complimentary capsules that are refilled on daily basis, and a modern bathroom with a separate walk-in shower and tub. 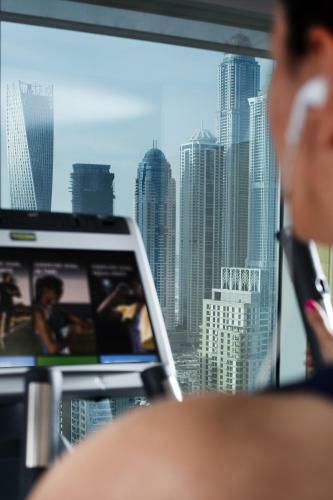 A comfortable seating area offers sweeping views of Jumeirah Lakes Towers or Dubai Marina. 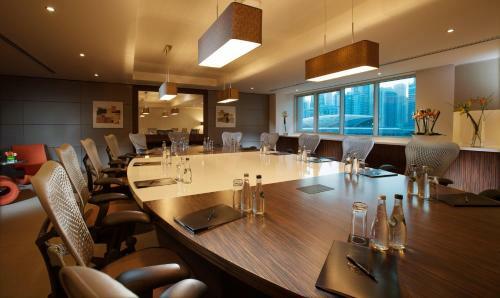 Located on the 16th floor, the Executive lounge is an exclusive space of comfort offering guests the convenience of special facilities. This elegantly decorated, air-conditioned suite is located on floors 20th to 30th and offers spacious indoor living overlooking the cityscape. It is complete with a fully equipped open kitchenette to the living area, a guest toilet and a master bedroom with an en-suite bathroom and a king size bed. 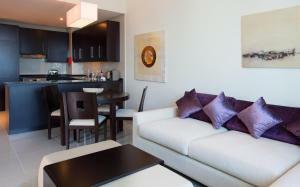 The living area and the bedroom feature a 48/40 inch interactive LED HD TV with international channels. 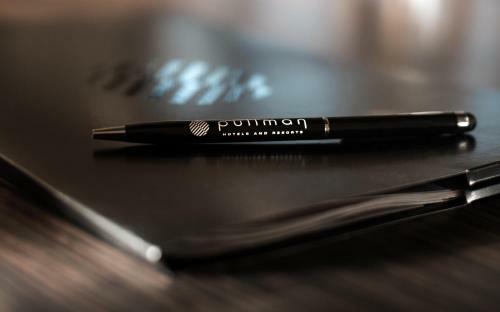 Upgraded amenities include a Bose docking station and a Nespresso machine with complimentary capsules that are refilled on daily basis. 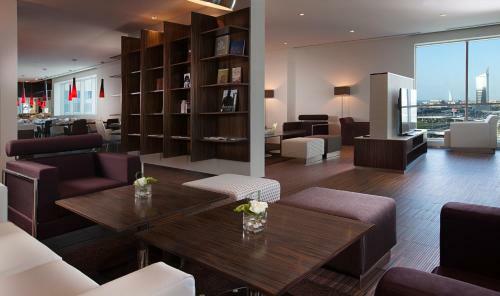 Located on the 16th floor, the Executive lounge is an exclusive space of comfort allowing guests the convenience of special facilities. This suite has air conditioning, soundproofing and satellite TV. This suite features a minibar, soundproofing and air conditioning. 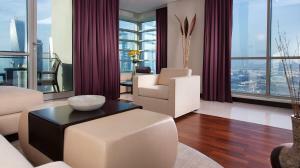 This suite features a tile/marble floor, flat-screen TV and bathrobe. 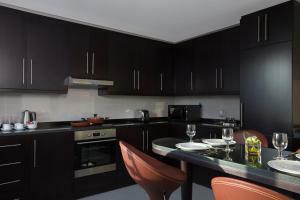 This apartment has a seating area, minibar and air conditioning.